Brain tumours are the leading cause of death from cancer in childhood. We’re partnering with the Brain Tumour Charity and Great Ormond Street Hospital Children’s Charity to fund a £4 million programme of work. Involving three of the UK’s leading paediatric neuro-oncology centres, this research aims to find vital treatments for children affected by some of the brain tumours with the worst outlooks. In this £4m partnership with the Brain Tumour Charity and Great Ormond Street Hospital Children’s Charity we’re helping to fund essential research into some of the leading causes of childhood cancer deaths. Meet Lucy - one of our hero patient stories! Brain tumours are the leading cause of childhood cancer death. Many advances have been made in treating the most common childhood brain tumour, medulloblastoma, but current treatments still fail in around a third of young patients. Although less common, high-grade gliomas and diffuse intrinsic pontine gliomas are even harder to treat, and other, rarer groups of tumours are also commonly fatal. The children who do survive brain tumours are often left with severe, life-limiting disabilities as a result of the tumour and the aggressive treatments necessary to save their life. So new treatments are desperately needed. The INSTINCT programme integrates research programmes at three of the UK’s leading paediatric brain tumour research centres – the Northern Institute for Cancer Research at Newcastle University, the UCL Institute of Child Health and the Institute of Cancer Research. This collaboration is helping scientists to take forward vital research into the biological causes of brain tumours, and to use this information to give children hope for new treatments. By combining the expertise of leading scientists and clinicians from across the three leading UK research centres, the INSTINCT programme aims to bridge the gap between biological discovery and clinical practice – how we take new findings from the lab to the hospital wards. This unified network of research and clinical excellence will enable the team to accelerate progress in the treatment of these tumours – giving them access to more data, allowing them to share their findings, and helping to get clinical trials underway more quickly with a larger number of children affected by these brain tumours. Ultimately more children with these high-risk brain tumours will survive for longer, and, more effective, less toxic treatments will give them a better quality of survival. The Northern Institute for Cancer Research, UCL Institute of Child Health and the Institute of Cancer Research play leading international roles in childhood brain tumour research and applying findings to children with cancer. Unifying their research programmes offers a major opportunity to create a network for developing better treatment of childhood brain tumours. Professor Steven Clifford, Professor of Molecular Paediatric Oncology at the Northern Institute for Cancer Research, is the overall lead for the INSTINCT programme. 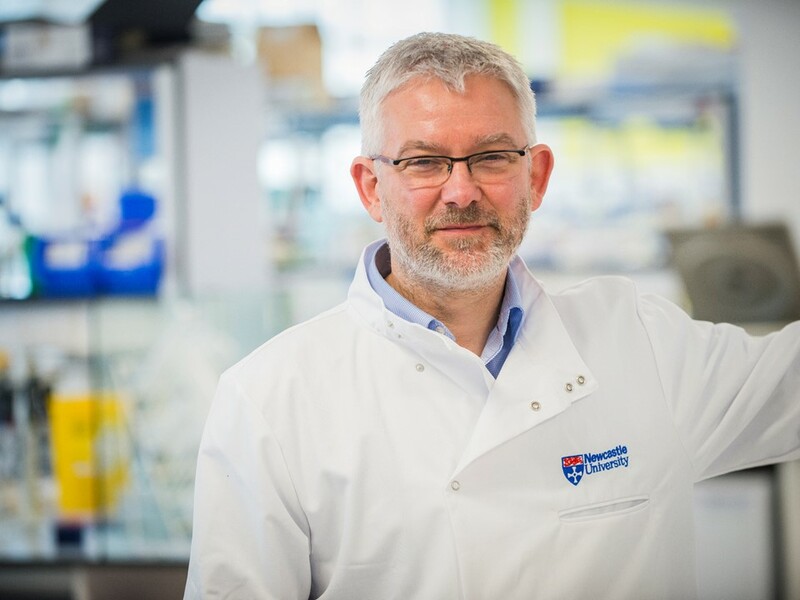 Professor Clifford is the Leader of the Paediatric Brain Tumour Research Group in Newcastle and the Chair of Newcastle Children’s Cancer Research Group. The Lead at the UCL Institute of Child Health (ICH) is Dr Darren Hargrave, a Consultant Paediatric Oncologist in Neuro-oncology and Experimental Therapeutics at Great Ormond Street Hospital. Dr Chris Jones, Reader in Translational Genomics at the Institute of Cancer Research (ICR), leads the ICR contribution.